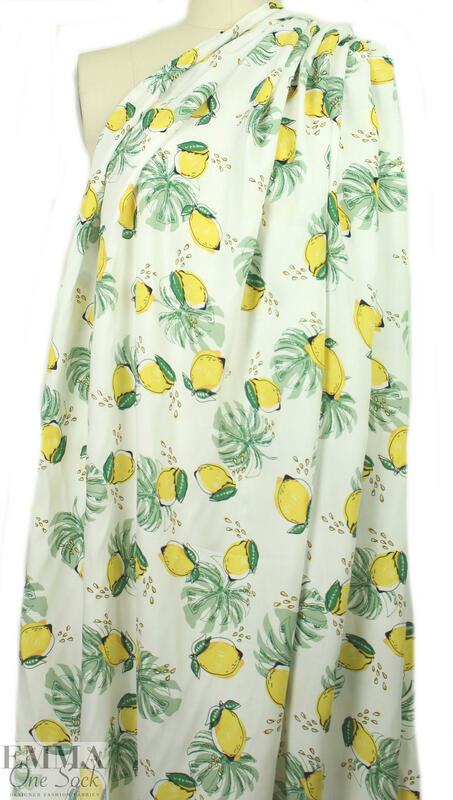 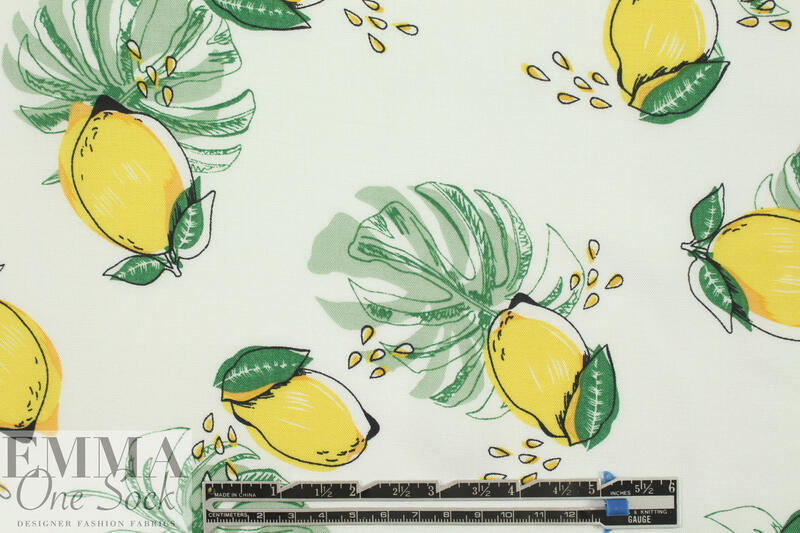 This is a lovely viscose woven, lightweight, nearly opaque, drapey and soft, with a pretty "lemon fruit" print in lemon, fern and black on a creamy white background (PANTONE 13-0840, 17-5923, 14-6007). 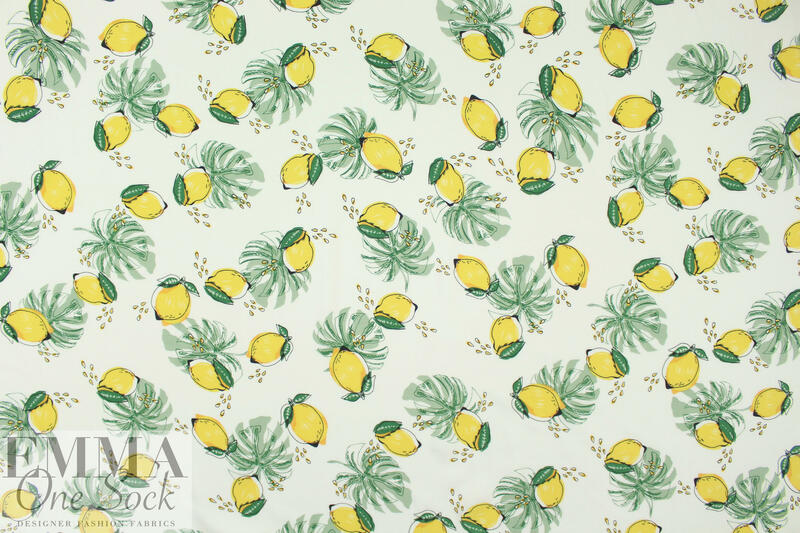 It is perfect for a blouse, top, tunic, or line for a dress or skirt, etc. 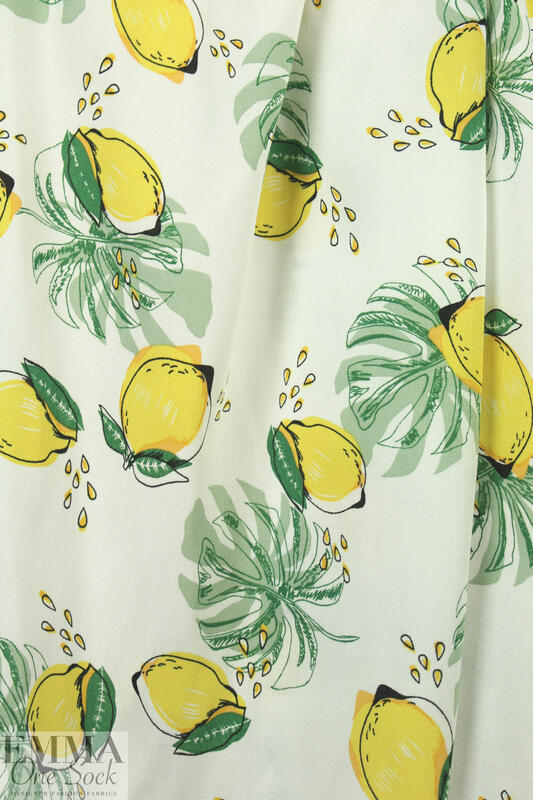 Dry clean or hand wash and hang to dry.